Though the individual errors persist, the recall of the experienced Liverpool centre-back has seen the Ivorian backline much more settled in their recent games compared to the scatterbrain defending in the earlier parts of qualifying. 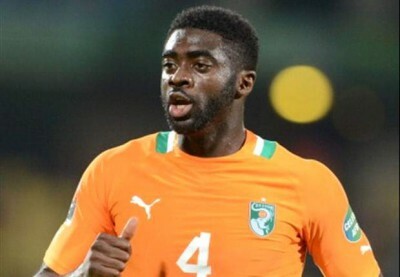 The midpoint of Ivory Coast’s brand new back three, Kolo Toure has been the calm authority leading the unexperienced duo of Eric Bailly and Wilfried Kanon, both of whom have been thrown into the deep end, through their first steps of competitive international football in an unfamiliar system. Toure’s performance against Cameroon wasn’t the thumping, all-conquering one of yesteryear, where he was one of the world’s most complete defenders. You could say it didn’t need to be a performance of that high a calibre thanks to a Cameroon team that lacked the nous to cause too much trouble to the Ivorians, but there still needed to be a figure in the Ivory Coast defence to marshal a force that can always gift you chances. Well acquainted with the system due to playing in it at club level with Liverpool, his quiet solidity and the cleanliness of his game was reflected by the numbers. Toure committed no tackles, but his 4 interceptions, 5 clearances and 2 blocked shots and 0 fouls were crucial to the clean sheet. He will need to be equally, if not more so, impressive if Ivory Coast are to keep Algeria at bay in the quarter-final.